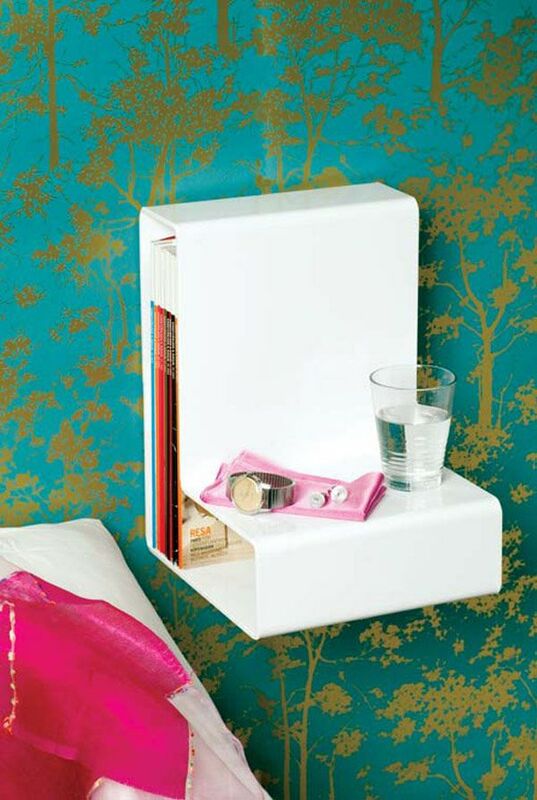 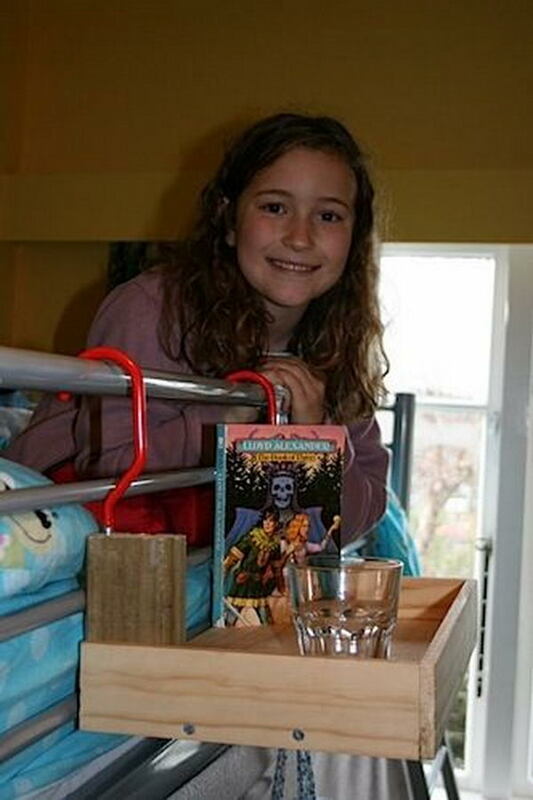 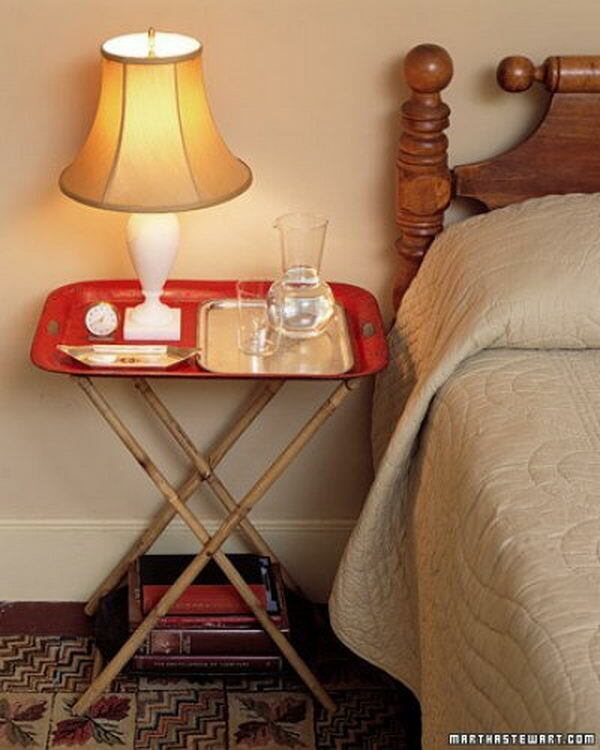 With a nightstand, you can easily place and find books, glasses, eye-drops and other things beside your bed. 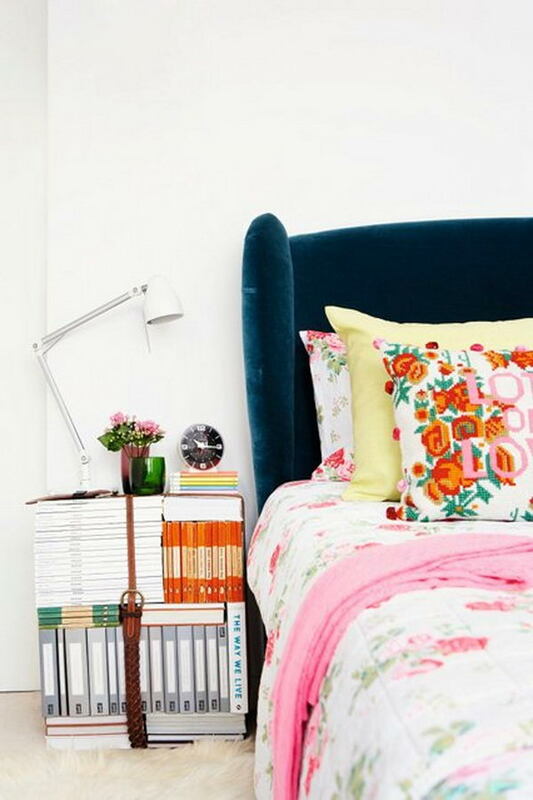 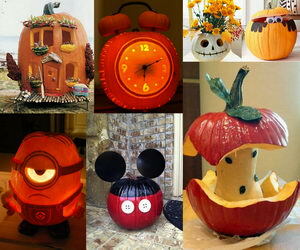 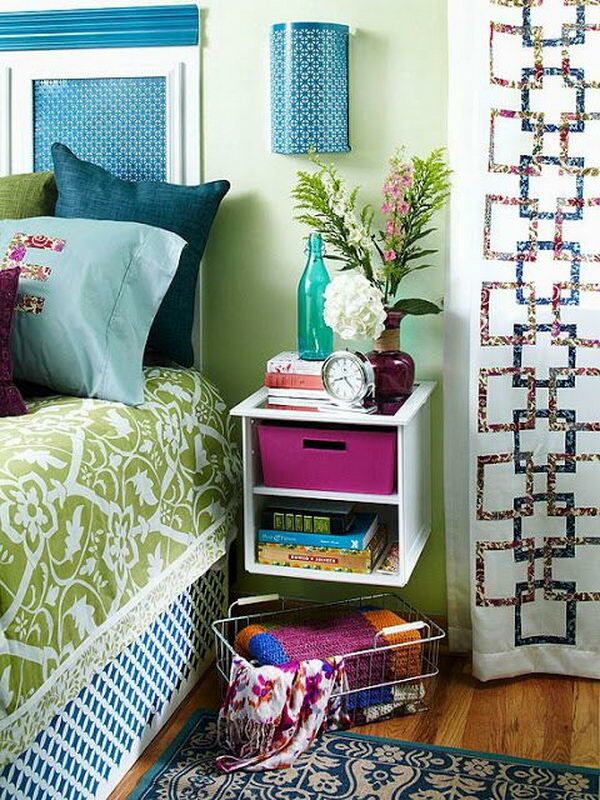 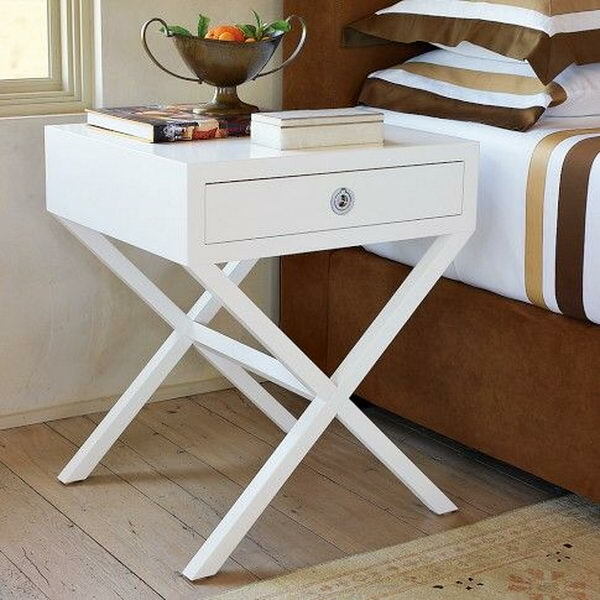 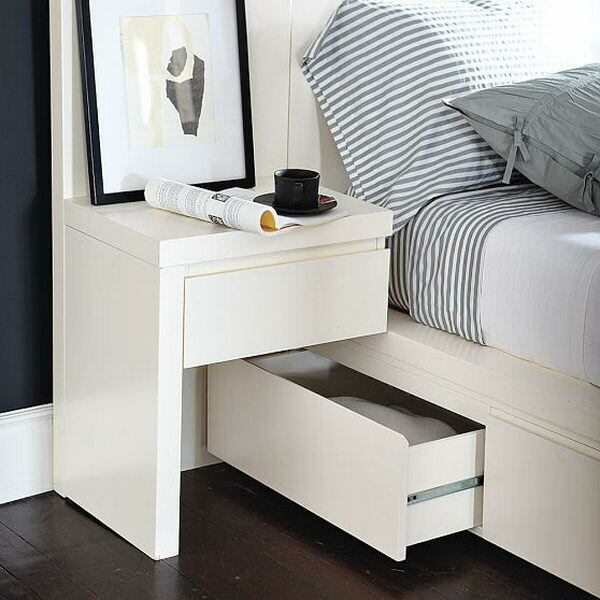 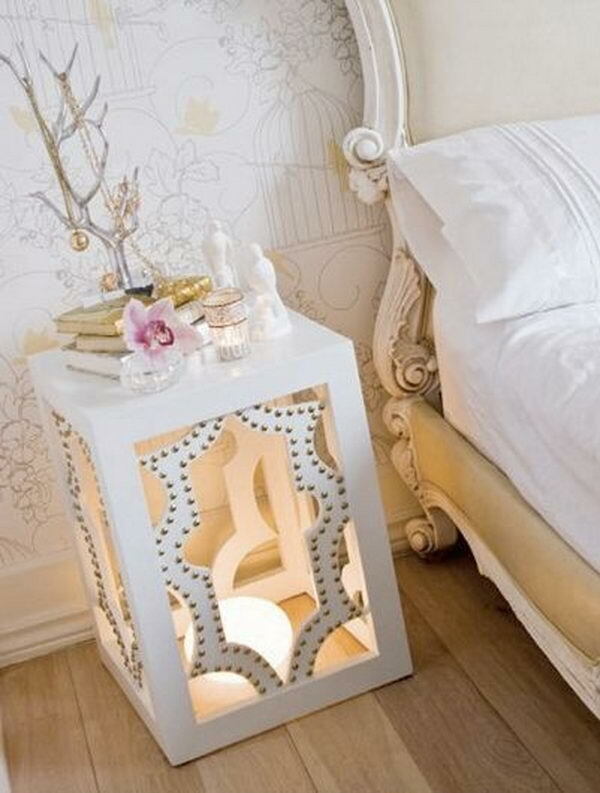 But not only it’s very useful, a nightstand can also make room looks more interesting. 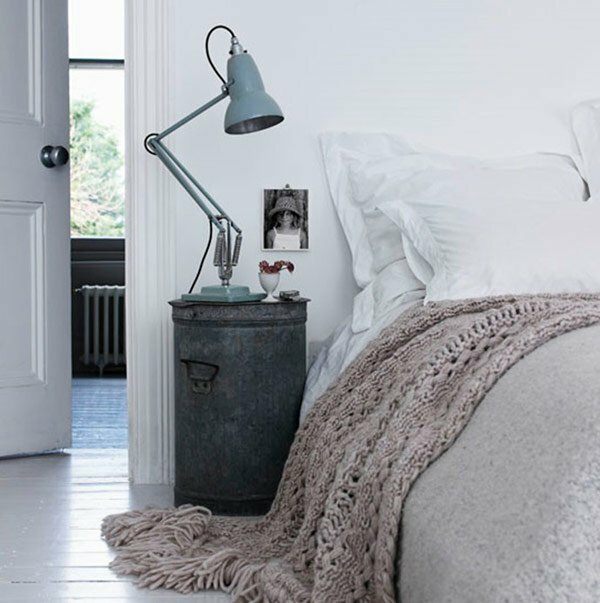 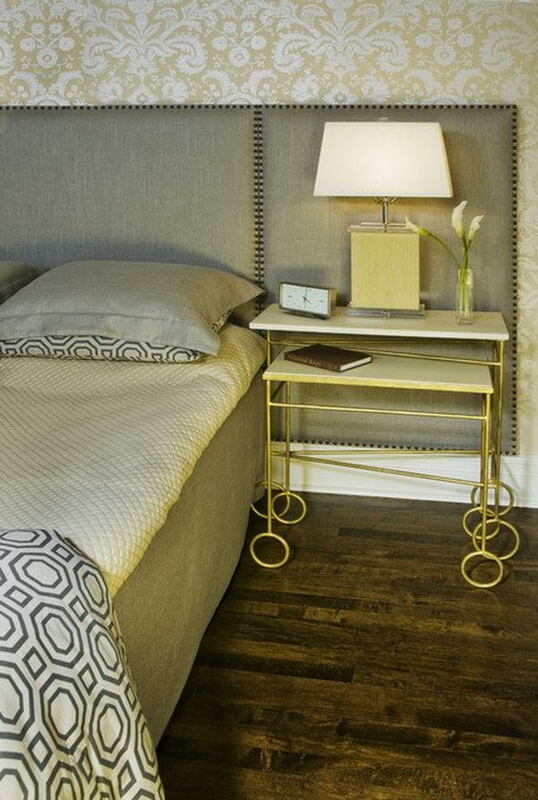 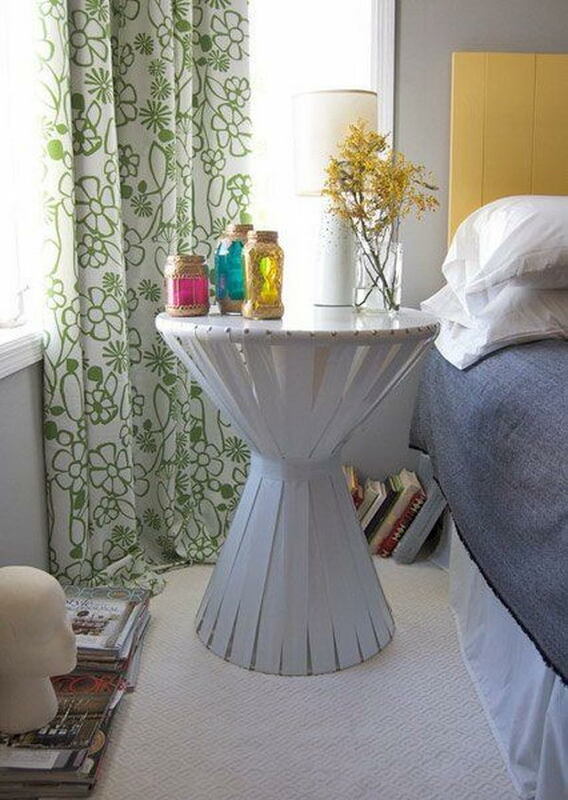 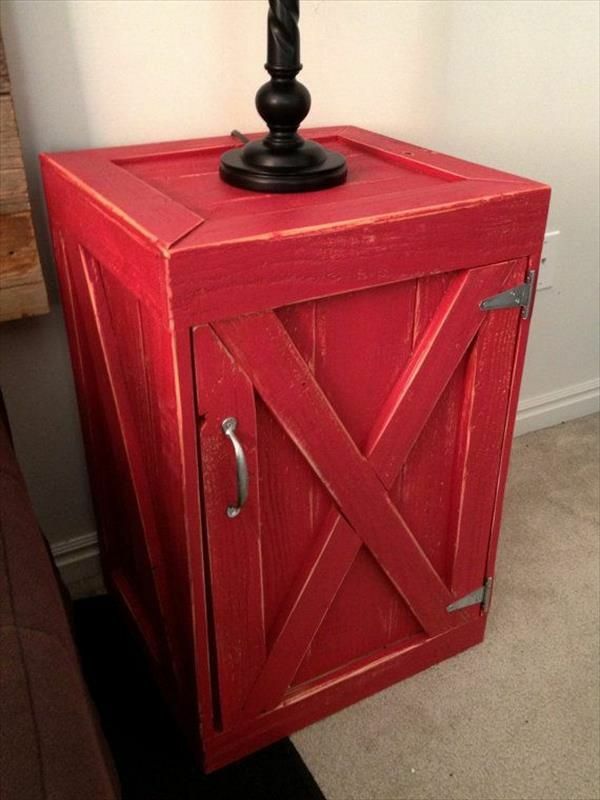 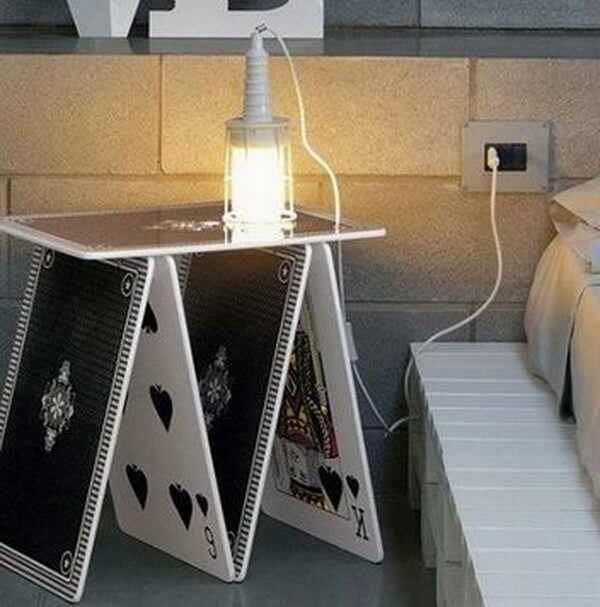 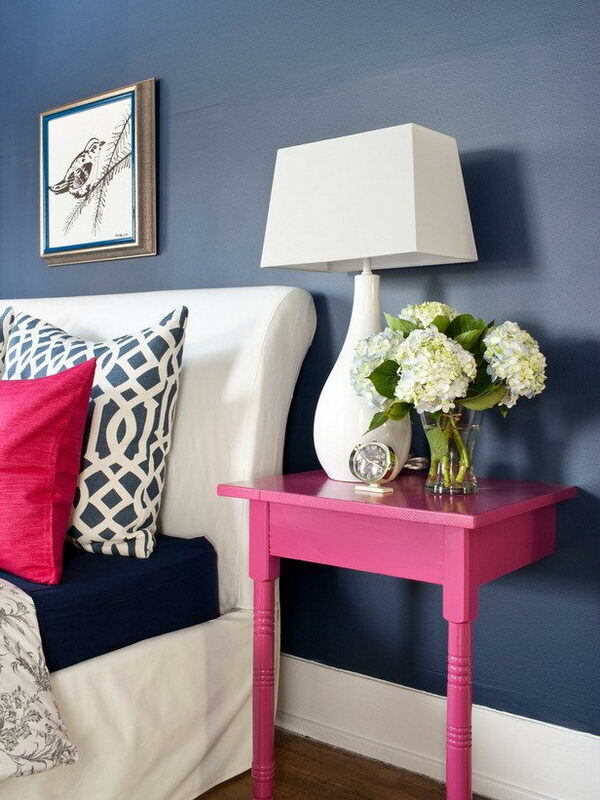 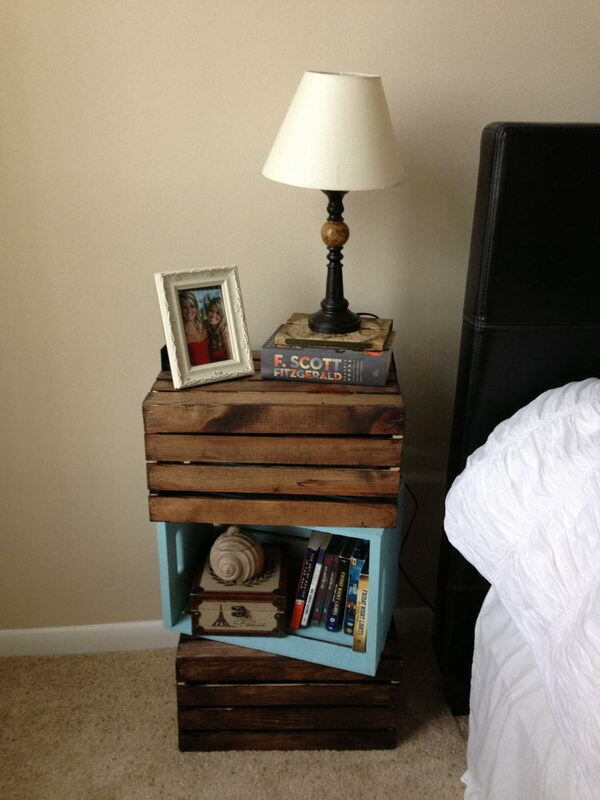 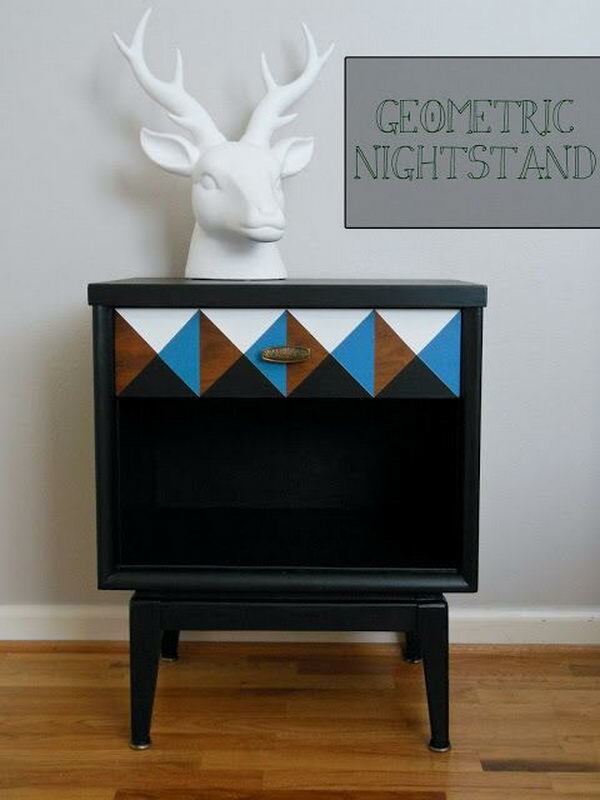 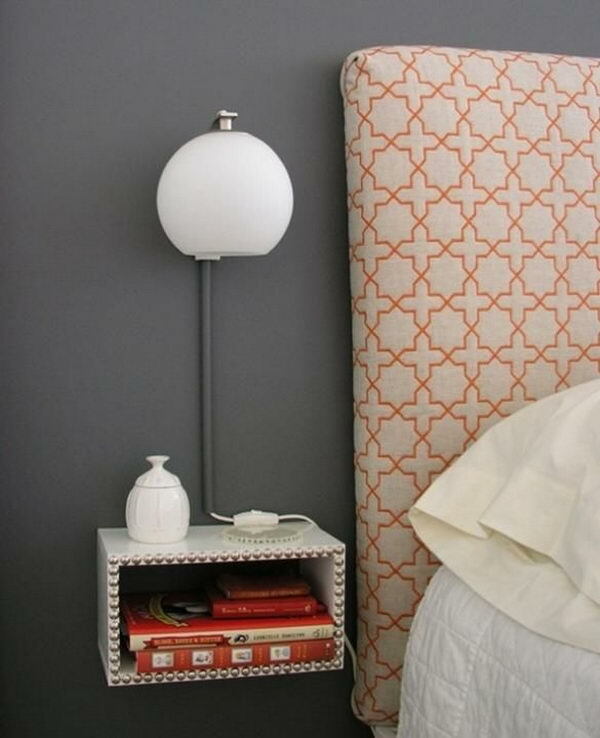 Here are some creative nightstand ideas for your inspiration. 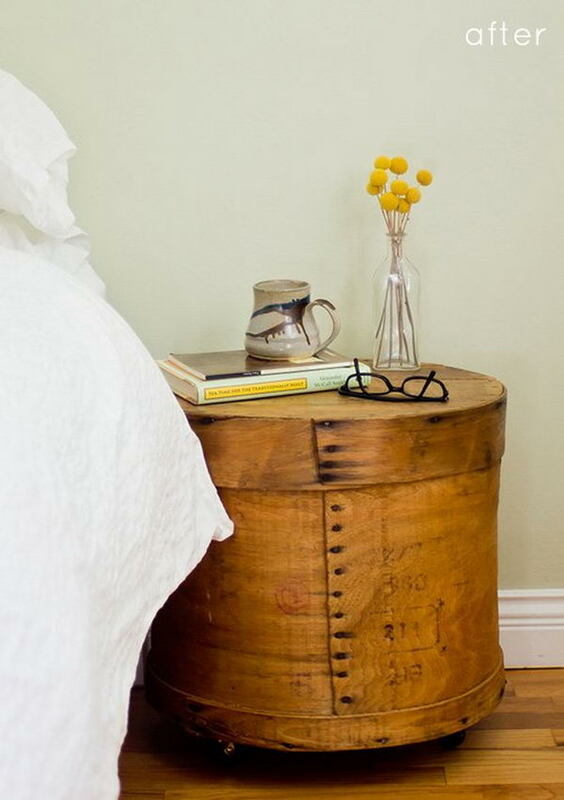 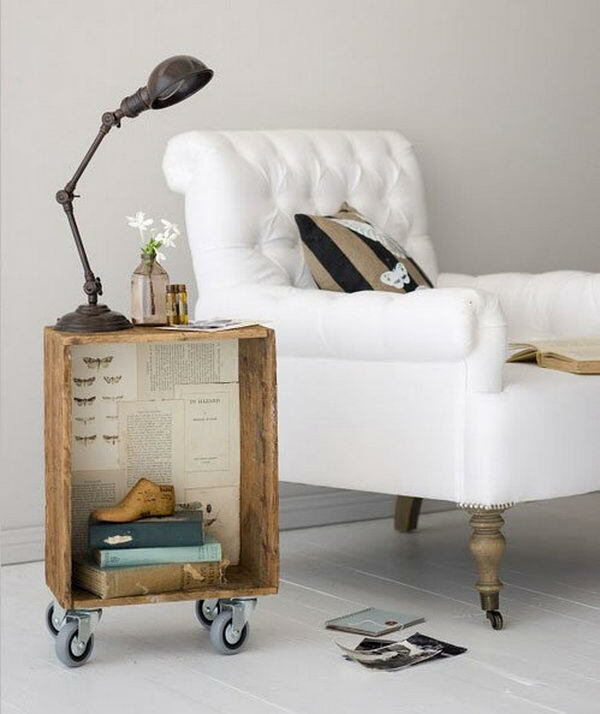 Some of them have unique shapes, some of them reuse those wooden tables or old suitcases as vintage style nightstands and some of them are creatively designed to maximize space. 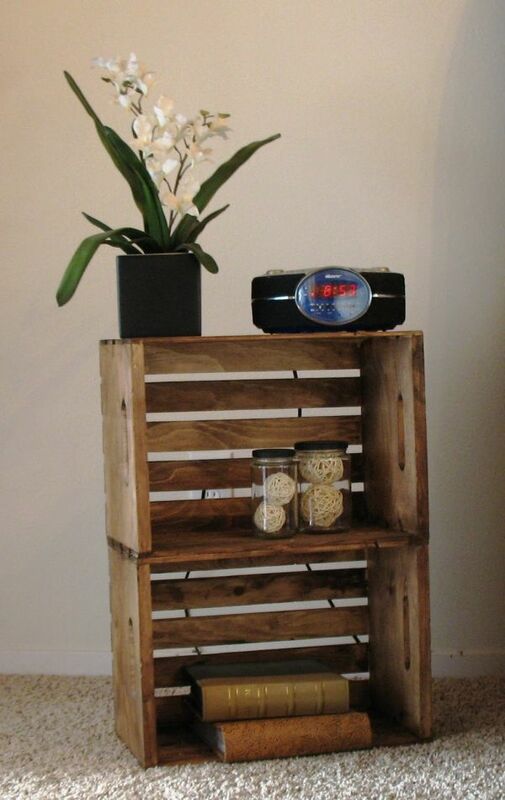 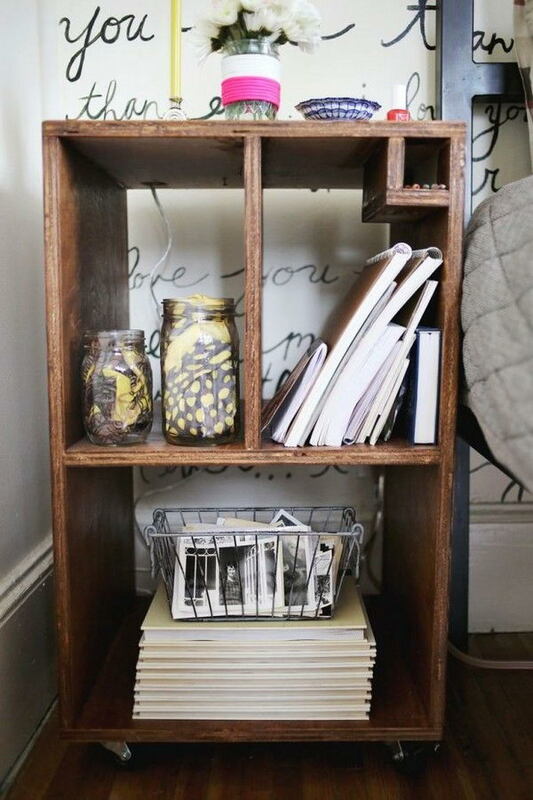 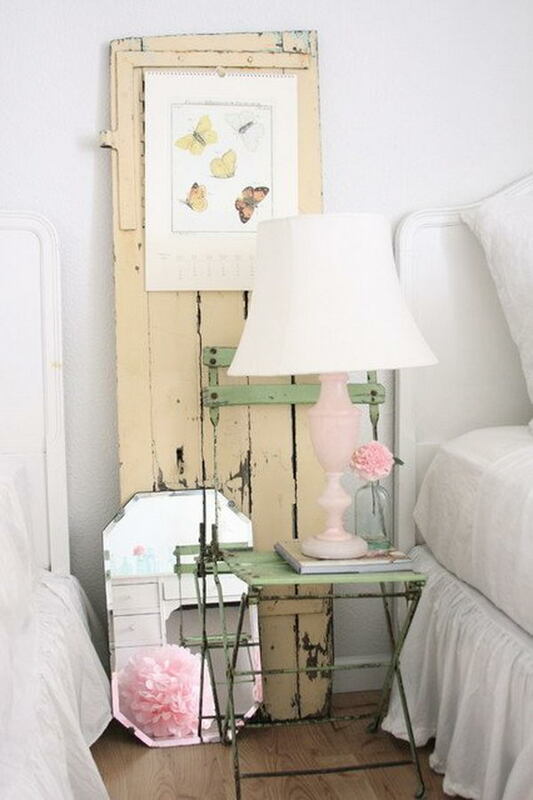 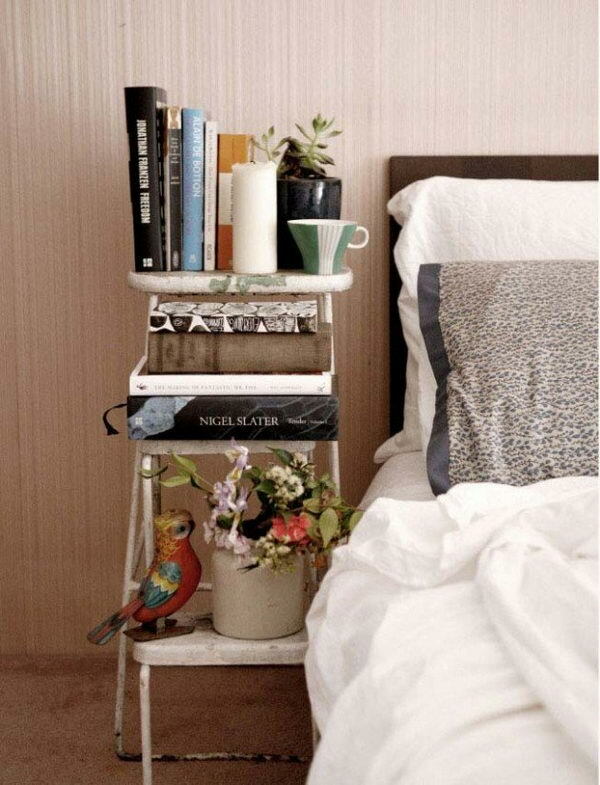 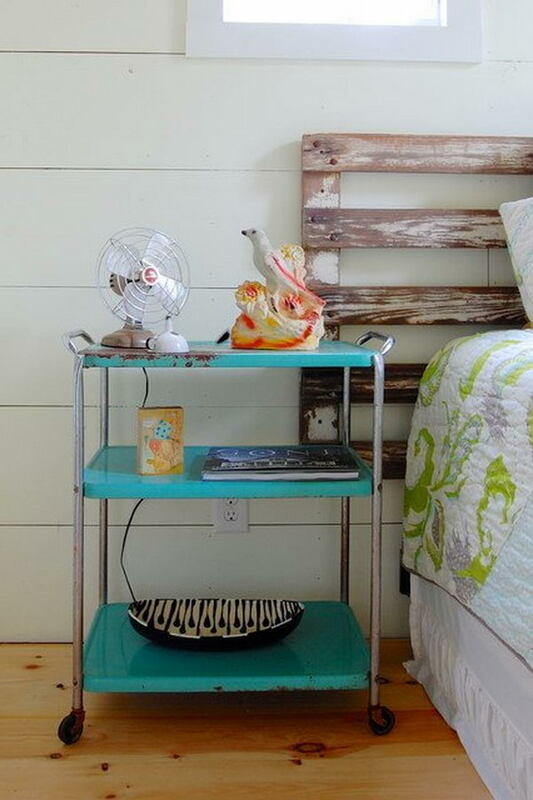 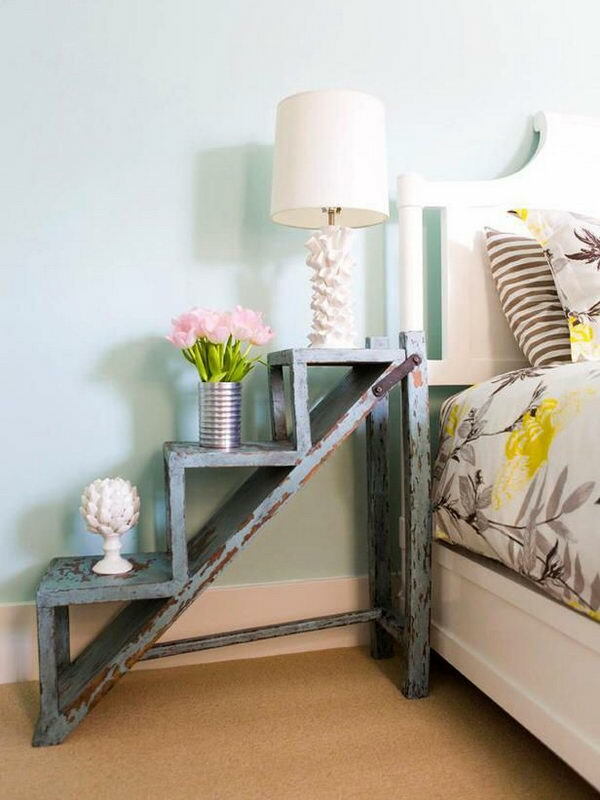 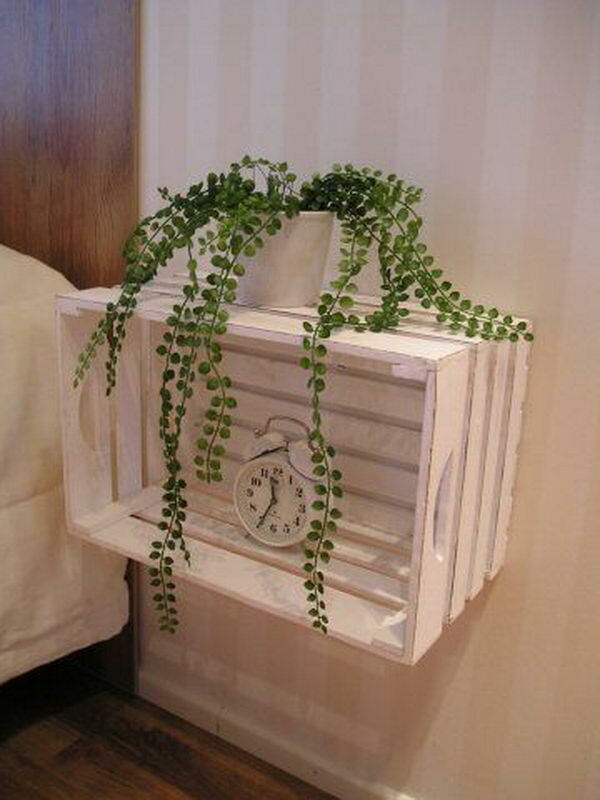 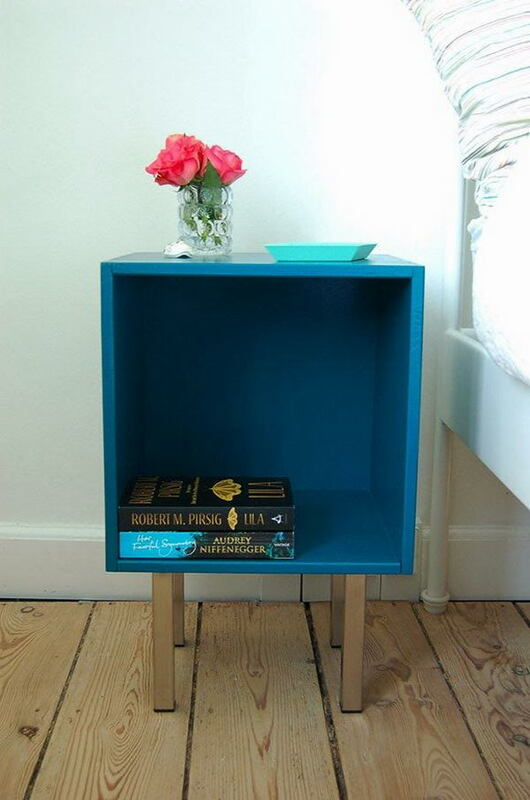 It’s a cool idea to convert a garden ladder to a vintage style nightstand. 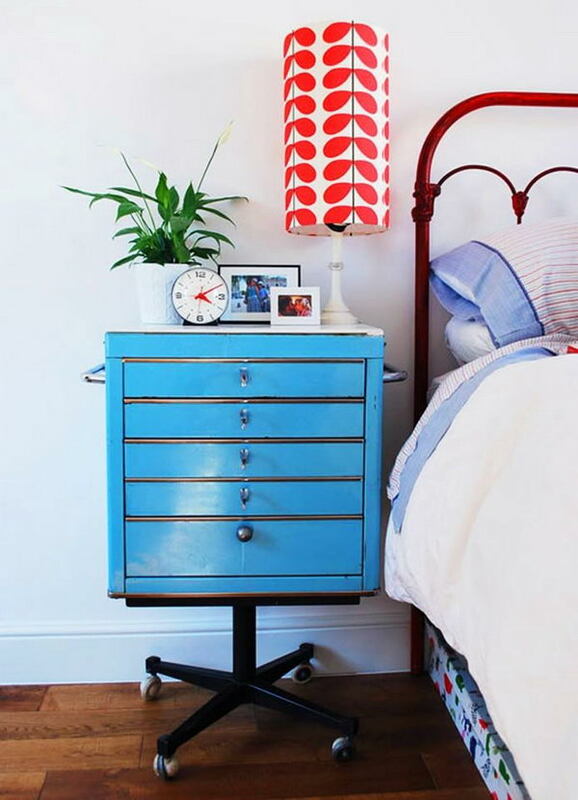 Stacked on top of one another, two or three suitcases can serve as an eye-catching, yet perfectly functional DIY nightstand. 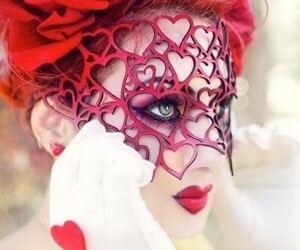 I second that emotion. 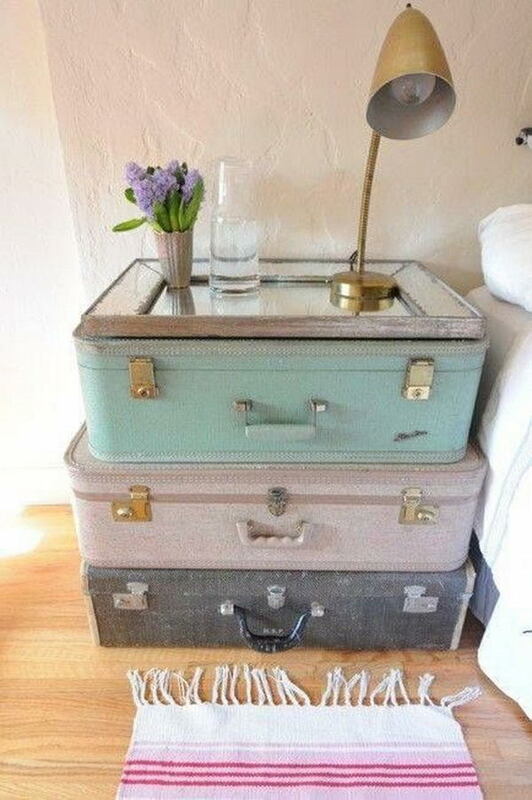 Love them all!Redoing my bedroom soon and have three suitcases that i will be relooking for me As for my husband I have a night table that will work perfectly for the one with the license plates. 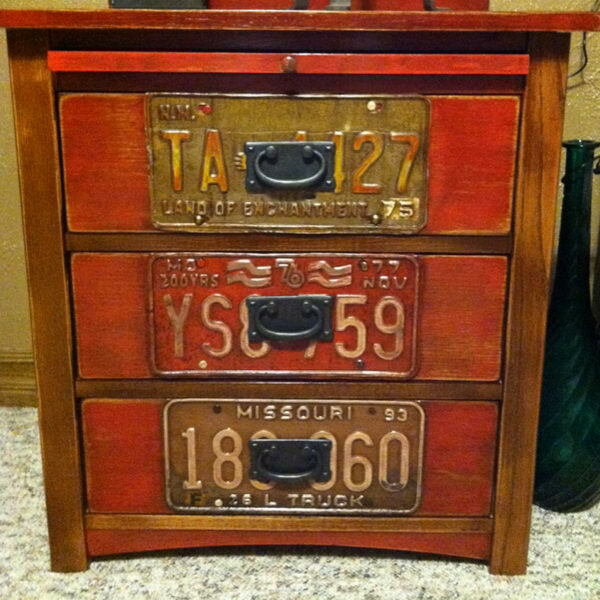 just gotta find some funky license plate or alternative.